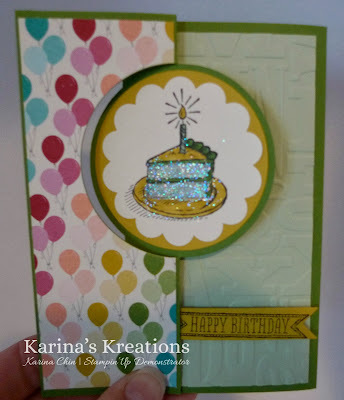 Karina's Kreations: Stampin'Up Marker Club & Sketched Birthday! 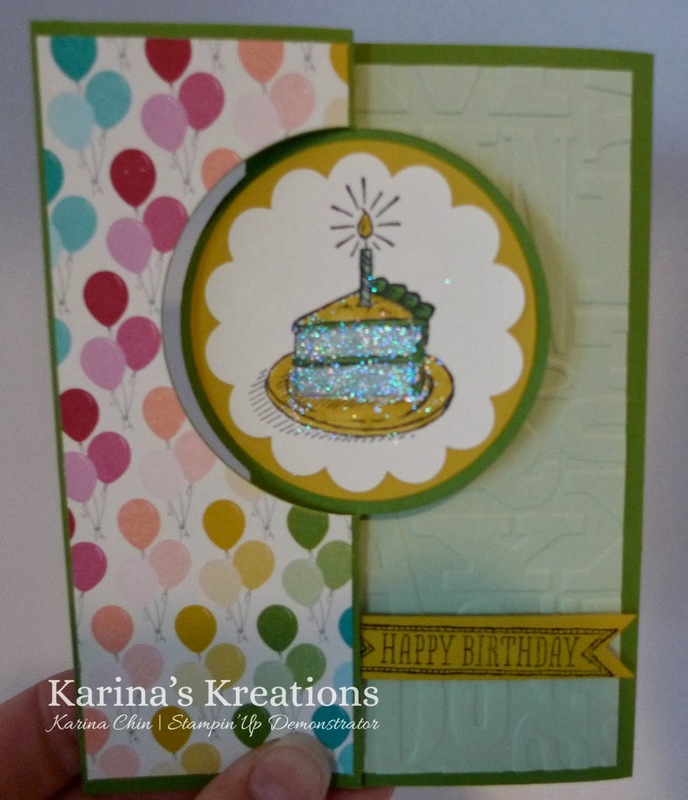 Stampin'Up Marker Club & Sketched Birthday! When I first started selling Stampin'Up products 7 years ago, I started a marker club. It was such an affordable way to own all all the markers & get the matching case. I would love for everyone to get the markers so I'm running another club and I have made a video to explain how it works. I made a small mistake but I'm sure you'll get the idea. We need 4 people to run the marker club so it will start as soon as 4 people sign up. You can email me at kchin2@telus.net to sign up. This is a cute card I made using the Thinlits circle card framelit and my Stampin' Write markers. 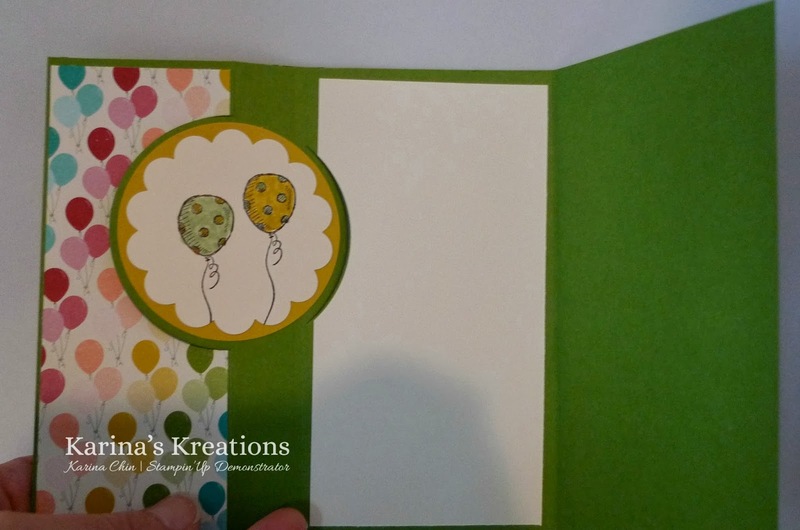 The Gumball Green card base is 5-1/2" x 8-1/2". I might do a video showing how to run the card stock through the framelit so it cuts and scores it in the right place. Let me know if you want a video made.